Teach your children valuable lessons with these fun and entertaining tales. Moral stories for kids are entertaining, but don&apos;t take this amusing little anecdotes for granted. They&apos;re also teaching your child a valuable lesson about how to be a good and considerate person, too! 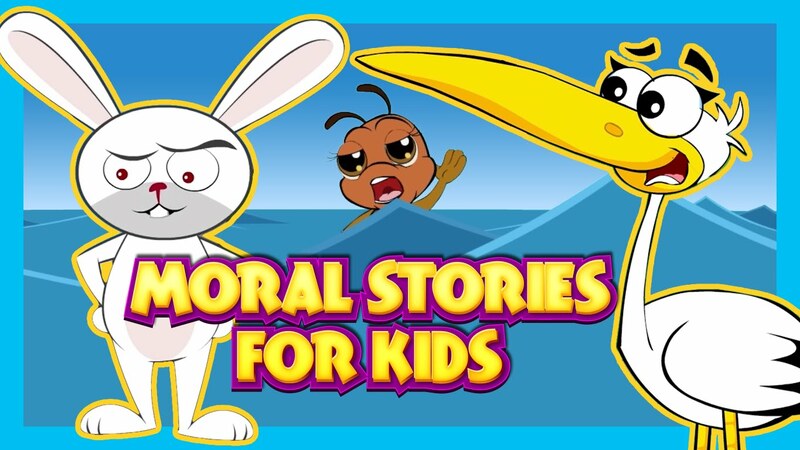 If you want to teach your child the value of compassion, respect, integrity and responsibility, we&apos;ve put together a list of 22 great moral stories to help you get started. Get your babysitter or nanny involved by having them pick out a couple that they&apos;d like to read with your child as well. Recounting the road race between a rabbit and a turtle, Aesop&apos;s fable of the Tortoise and the Hare teaches children to keep trying and not to brag. The Boy Who Cried Wolf is a story about a boy who falsely accuses a wolf of trying to get his sheep. When a wolf really does come, no one believes him, thus teaching children honesty. Kids learn how to take responsibility for themselves in The Ant and Grasshopper, which describes a busy ant gathering food for the winter while a grasshopper plays and ends up hungry. Ideal for older children, The Lion and the Rabbit is about a lion who is eating all the forest animals. The rabbit&apos;s turn to be eaten comes but he tricks the lion, teaching children that being smart is more important than being strong. The Monkey and the Crocodile teaches children not to underestimate themselves through a story about a monkey who might have been fooled by a hungry crocodile had he not trusted his instincts. In The Honest Wood Cutter, kids learn that being honest often comes with a reward. The story recounts a woodcutter who lost his ax, but refused to steal someone else&apos;s ax. Many children may be able to identify with The Wet Pants, a story about a boy who wet his pants and the girl who spilled water on him to save him from ridicule. The moral teaches children to help others. Little ones learn the dangers of bragging in The Frog and the Ox, which tells the story of a frog who thought so highly of himself that he actually burst. Teach children to be content with The Discontented Dog, who wanted what other animals had until he realized how good he had it. A perfect tale for little kids, The Lion and the Mouse tells the story of a lion with a thorn in his paw, which the mouse removes. The moral teaches children that no matter how small they are, they can still help others. In Who Is Happy?, a crow wishes he had more colorful feathers before realizing that it&apos;s better to be happy what with what you have. Teach your child to be loyal to friends with The Bear and the Two Friends. In The Man and the Little Cat, a man tries to rescue a cat, despite being scratched repeatedly. This is one of the best moral stories for kids because it teaches kindness. Teach your kids to help others with The Selfish Horse -- a horse refuses to help a donkey, but ends up doing all the work. Kids learn to be content with The Poor Man&apos;s Wealth, in which a rich man gives a poor man money, but the money takes away the poor man&apos;s peace. Little readers learn to overcome bad habits with The Wise Old Man. Controlling Temper is about a boy who pounds a nail into a fence when he was angry. He learns that nails can be removed, but leave behind scars, which teaches children to be careful with their words. Teach kids not to judge others based on appearances with Don&apos;t Judge a Book by Its Cover, in which a pair of poor-looking parents visit Harvard to give a memorial to the school. In The Bundle of Sticks, children learn to work together through an illustration of the strength of a bundle of sticks. Help your kids understand that though they don&apos;t always see the fruits of their efforts, others do, with The Other Side of the Wall. Illustrate the concept of "do unto others as you would have done to you" with A Fox and a Crane. In Hard Work Always Pays, your child will learn the value of hard work through a story of a man pulling water from a well with a basket who ends up finding gold coins.